Rosie is a schnauzer/poodle mix, and she’s 4 years old. 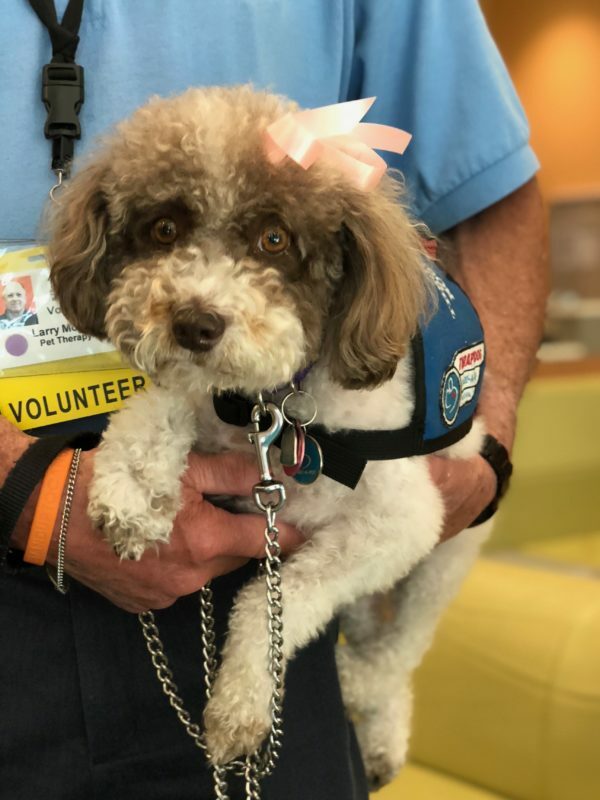 She is a volunteer therapy pup, helping people at Kaiser Permanente Redwood City who are nervous about getting surgery, whether it’s them getting it or their family or friends. What a good dog! That’s a very… intense expression. This entry was posted in Dog of the Day and tagged Mixed Breed, Poodle, Redwood City, Schnauzer. Bookmark the permalink.